Can You Enter Sweepstakes Multiple Times? How often can you enter sweepstakes? Some giveaways allow you to enter once, while others allow you to enter as often as you like. In order to know whether you can enter to win multiple times, and if so, when you can return to enter again, you need to understand entry frequency. The entry frequency can be found by reading the sweepstakes rules. You can usually find them quickly by searching the rules for terms like "limit" or "per person" (as in "limit of one entry per person per day). While the entry frequency of the giveaway you want to enter may seem self-explanatory, there are some nuances that are important to know to be sure that you neither get yourself accidentally disqualified nor miss out on chances of winning. So here's a look at what companies really mean with their frequencies. One Entry Sweepstakes: Enter these only once. Daily Entry Sweepstakes: Enter once per day. Weekly Entry Sweepstakes: Enter every week. Monthly Entry Sweepstakes: Enter once per month. Unlimited Entry Sweepstakes: Enter as often as you like. One Entry Per Entry Period: You can enter multiple times, but the time you have to wait between entries is irregular and spelled out in the rules. Even within these time periods, there can be some variations. For example, some sweepstakes that say you can enter once per day mean that you can enter at any time between 0:01 am and midnight the same day. So you could theoretically enter once at 11:59 pm on Friday and again two minutes later at 0:01 am on Saturday and have both entries count. Other times, a daily entry giveaway specifies that your entries must be at least 24 hours apart from one another. So if you enter at 11:59 pm on Friday, you cannot enter again until 11:59 pm on Saturday. Sweepstakes with this restriction are sometimes referred to as 24-hour sweepstakes, to differentiate them. One Entry Per Person: Some sweepstakes state in their rules that only one entry is permitted per person (or one entry per person per day, or per week, etc.). This means that you, personally, can only enter once per time period. It doesn't matter if you use a different email address, home address, telephone number, your maiden name, your middle name - you can still only enter once. However, this restriction wouldn't prevent your spouse, your child, or your roommate from entering. One Entry Per Email: For each email address that you have, you can enter one time per entry period. That means that if you have 200 email addresses registered, you can enter 200 times. However, you then need to check all of those addresses for win notices! One Entry Per Person/Email: This means that each person can enter only once per time period, and also that the email address they use can only be entered once per time period. So you can't enter yourself repeatedly, and a friend or family member can't use the same email address that you did when they enter. Sometimes, sweepstakes rules will list these two restrictions separately. For example, the rules might say one entry per person, and then a little later they'll state that no two entrants may share the same email address. 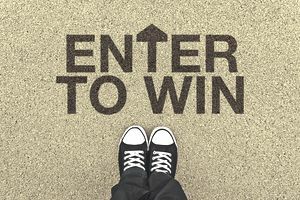 One Entry Per Household: A per household entry restriction means that only one person living at the address can enter the contest or sweepstakes. If your spouse, a child, or roommate wants to enter, too, he or she is out of luck. Only one of you can enter. One Entry Per Computer: If you share your computer with other people like your spouse or your children, only one of you can enter any sweepstakes with this entry restriction in its rules. This also means that you cannot enter on behalf of your mother, your best friend, or anyone else. One Entry Per Internet Location or Per IP Address: This restriction means that only one person using your IP address (what's that?) can enter per time period. You can also think of it as only one entry can be made from your internet account. For example, if you and your spouse each have your own computers, but you share the same internet service, only one of you could enter a sweepstake with this restriction. This can get tricky if you are entering sweepstakes from your office, from the computer lab at a university, or from a public location like a library or the local coffee shop, because you could be sharing an IP address with a lot of people. What Happens If You Enter More Often Than the Entry Frequency Allows? If you made a mistake and entered a sweepstake more often than the entry restrictions allowed, you might be disqualified altogether or your first entry per time period might be accepted while the rest are discarded. For details about how to tell how the sponsor handles duplicate entries, read Will I Be Disqualified for Entering Too Often?